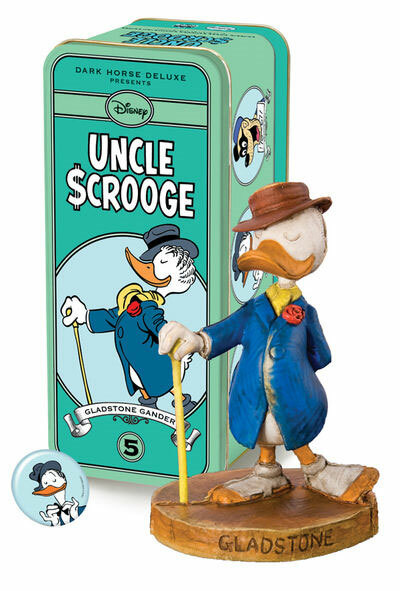 A while ago I posted pictures of four of the six new statues by Dark Horse of Disney characters based on the art of Carl Barks. 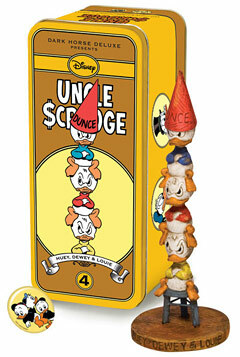 The first one of Uncle Scrooge has now come out and the other five will be released in the coming months. 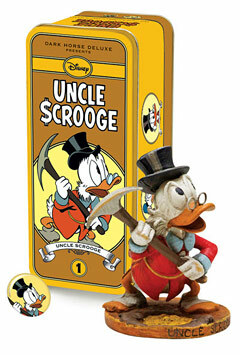 I received my copy of Scrooge a couple of weeks ago and it is indeed beautiful. 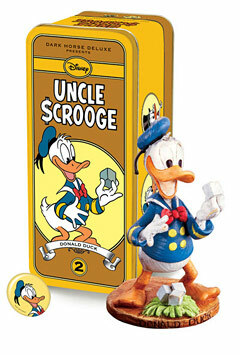 The Syroco-style small statues come in a special tin with pin and booklet. Each statue is limited to 950 numbered pieces. 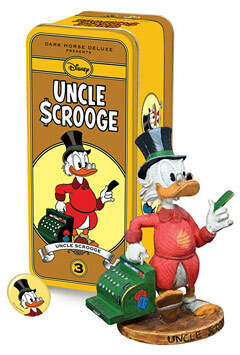 Dark Horse is releasing some gorgeous Disney statuettes in the Syroco-style based on the artwork by Carl Barks. The statues will be released in a special litho-printed full-color tin with a vintage pin-back button and booklet and are limited to 950 numbered pieces. 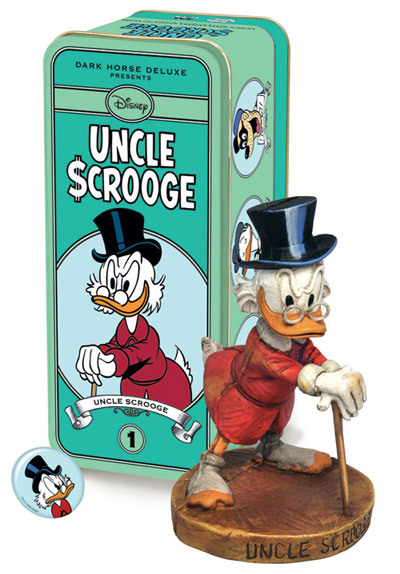 The statues can be pre-ordered at TFAW.com for $49.99 each, although the Scrooge statue has apparently already sold out (source: here and here). 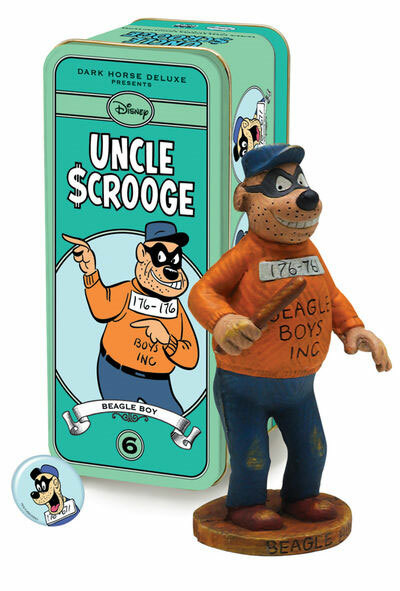 There will be six statues in total: Uncle Scrooge (release date: September 16th), Donald Duck (September 9th), Gyro Gearloose and Helper (October 21st), Magica de Spell (October 7th), Gladstone Gander and one of the Beagle Boys. All except Donald are characters created by Carl Barks.